“So long, farewell, auf wiedersehen, goodbye” – why are these lyrics, foreshadowing the Von Trapp family’s clever escape into Switzerland from Austria – stuck in my head? 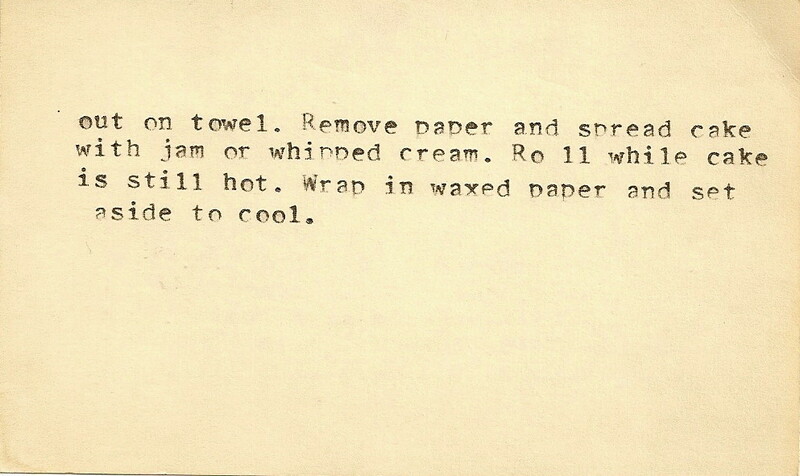 It is due to my grandmother Jessie’s retro Swiss roll, the last of the 19 recipes of hers I discovered earlier this year. While I vaguely recall a jelly roll – or Swiss roll – my grandmother had made, I associate this more with the commercial, sometimes chocolate-covered, individual “pastries”, filled with all sorts of artificial ingredients. This recipe has just five staple ingredients (one being the jam for filling), so it really does not have much in common with those preservative-laden “treats”. 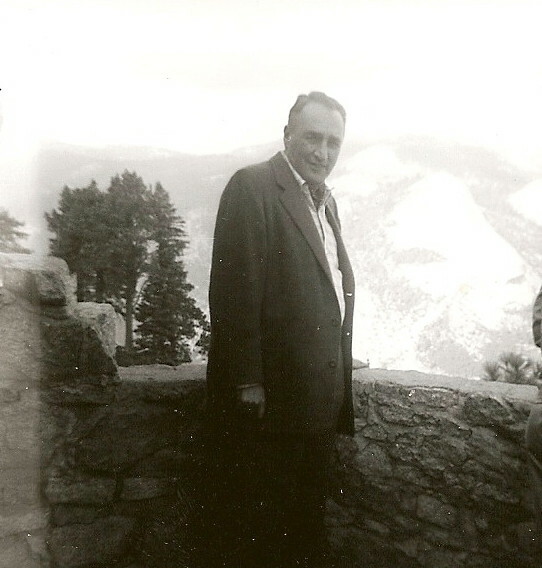 Jessie's husband, Louie, (my grandfather) in Switzerland, mid-1950s. 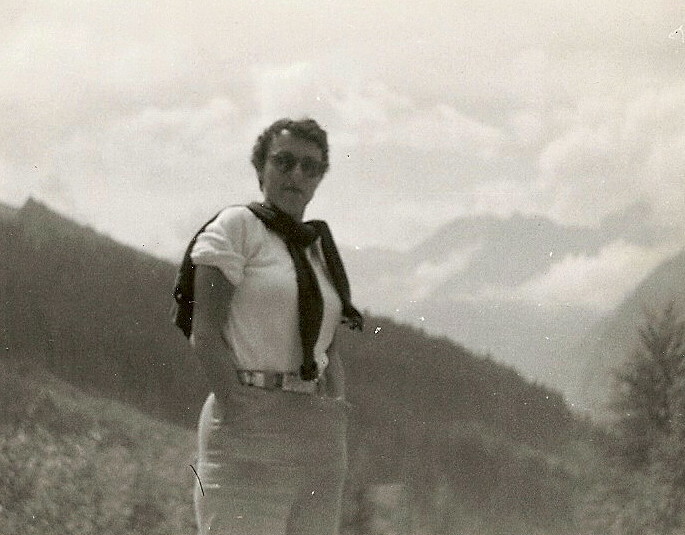 Jessie's daughter, Natalie (my mother) met her parents in the Alps for a visit. Perhaps Jessie did not take these, but it is odd that she is not in either of them – or any others – and she liked to pose for photos. My mother was working as a civilian employee of the US army near Stuttgart in the mid-1950s. 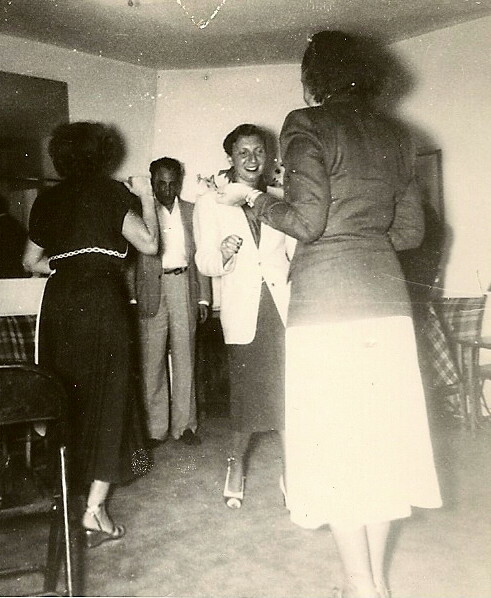 On one of their trips to Europe, my grandmother and grandfather decided to check up on my mother, meeting in Switzerland (my grandmother refused to set foot in Germany or Austria after World War II – my last two posts will give you a clue). Was Jessie (in white jacket) doing her own Swiss rock-and-roll here? While this recipe is simple, with few ingredients, it does require attention and meticulousness in preparing the pan and rolling up the cake. Jessie was very particular and specific about what she liked, so that fits with this recipe well. It reminds me of a lunch she and I had, right around 1970, not too long after my grandfather had died. We were at a restaurant near the University of Chicago’s Law School, and it was summer. My grandmother ordered iced tea. When it arrived, she sent it back because there wasn’t enough ice: “You call this iced tea? It’s barely got any ice!” Then she sent it back, as there was too much ice: “What do you expect me to do? Remove these ice cubes myself? Why bother going out to eat?” she said to the patient waiter. Finally, the third time, she said, “Where’s the lemon? I can’t have iced tea without lemon!” The frustrated waiter complied, and Jessie had her tea exactly the way she liked it. 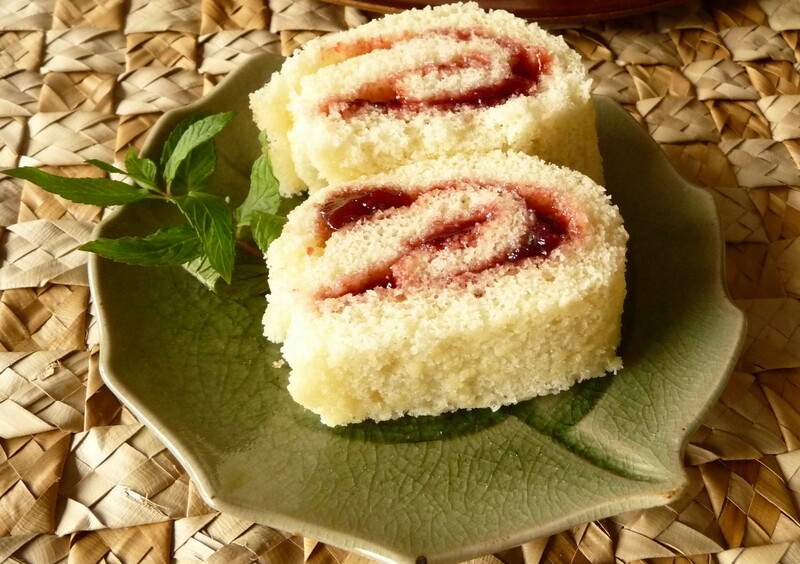 For a description of Jessie’s Swiss roll – and the recipe….